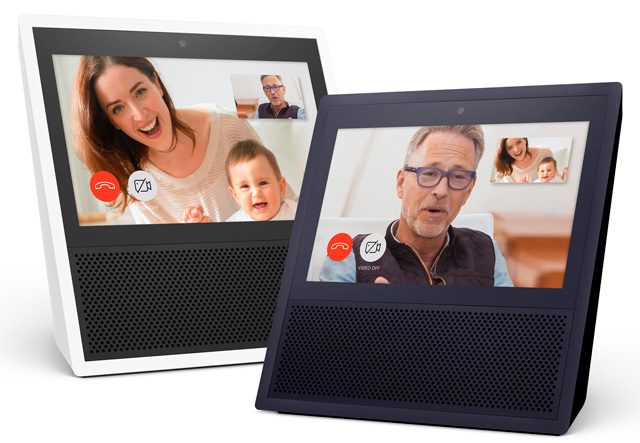 Up to this point, Amazon's Echo devices have been all about voice controls, but the newest addition to the family, the Amazon Echo Show ($229.99 on Amazon), adds visuals and video calling. With its 7-inch touchscreen, Echo Show looks more like a tablet than a speaker, but it's still all about voice control with Amazon's Alexa assistant. 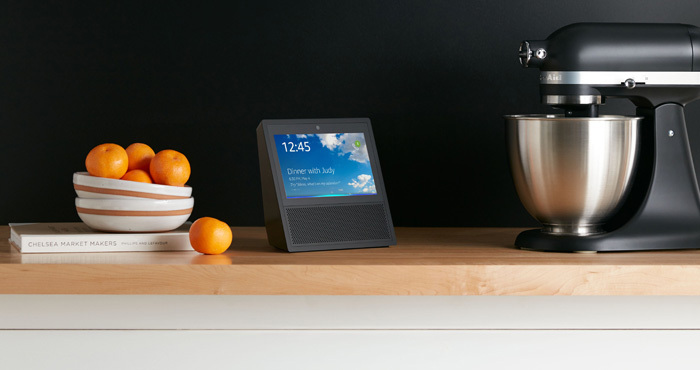 In addition to everything you can already ask Alexa to do — like managing your calendar, ordering items from Amazon, playing music or controlling your smart home — the Echo Show can play YouTube videos, show you video from your home security camera or make video calls. These extra features make for a handy multipurpose gadget that you could fit in anywhere in the house: as a smart alarm and calendar in the bedroom, a family message board in the kitchen, or just a smarter Echo device wherever you want one. When you get a call, your Echo will light up and ring, just like a phone — only it's all hands-free. The Echo Show is the most expensive of Amazon's Echo devices at $229.99, but if you buy a pair of them, you currently get $100 off. That brings the price to $179.99 each, or the same as the Echo — and lets you make two-way video calls. But if you want Alexa's new calling features on a budget, you can pick up the Echo Dot for just $49.99 or use the free Alexa app for your smartphone or tablet. The Echo Show is available for pre-order now and will ship on June 28. If you buy one Echo Show, it will cost $229.99 on Amazon, and you'll get $100 off if you buy two. If you aren't ready to upgrade to an Echo Show, voice calling features will be rolling out to the full Echo lineup soon. If you’re seeing a 503 error, there’s a good chance that you’re using an IP address that we’ve blocked at some point in the past because of high spam volumes. If you send me your IP address when you’re getting that error, I can check it out. To find your IP address, simply enter “what is my IP address” in your browser search. You can send it to me at josh@techlicious.com. FYI, your comment was automatically blocked by our spam prevention software (I had to unblock it). So it would appear that whatever IP you’re using has issues with bad actors.